We can help you build custom auto-remediation and self-healing platforms for DevOps teams using Stackstorm. We are an official StackStorm Implementation Partner. We've worked with some of the largest companies in the world to deliver high-performance web solutions for their most critical businesses. Our team contributes features, bug fixes and general maintenance to the StackStorm platform, giving us the insight and expertise to understand it deeply. Because of our deep technical background in web applications and our relationship with the StackStorm team, we have everything you need to build a custom auto-remediation solution. Most companies rely on sending automated alerts to engineers when there’s a problem with one of their systems. Whether they’re delivered by email, text, or chat – an on-call engineer has to stop what they’re doing (including sleeping!) to manually investigate the issue. This is prone to human error and results in increased downtime. Auto remediation solves for this by using a set of rules and patterns which can be automated for a majority of the cases. Using the same rules every time increases the quality of troubleshooting and makes it easier to track. Common issues can be fixed automatically, while more complicated issues can be accompanied by data from multiple systems and a recommendation for the solution. Less human intervention, better quality troubleshooting, and more uptime makes it a true self-healing solution. Learn how Netflix used Stackstorm as their underlying engine to host and execute their runbooks. 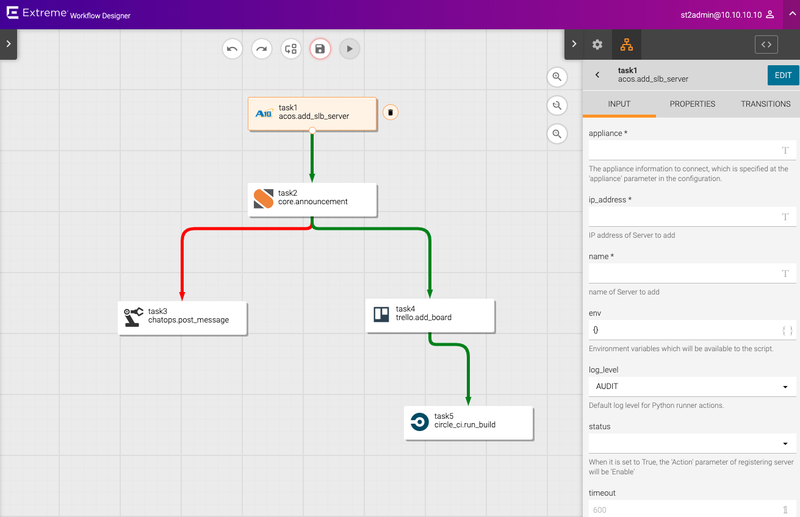 Stackstorm is an event driven automation platform. It's a robust engine for IFTTT (If This Then That) for devops. This simple concept is extremely powerful and allows StackStorm to be useful in many areas including Assisted Troubleshooting, Auto Remediation, IT Process Integration, Continuous Integration and Deployment, Chatops, and even integration with Internet of Things devices. A monitoring system broadcasts alerts if a cell tower appears to not be responding. StackStorm can receive those alerts and do some diagnostic checks to see if there is a problem with the infrastructure or with the tower itself and notify an engineer of the results. This way, the engineer knows what is wrong right away instead of having to spend the time to do the investigations. A critical server encounters an error, resulting in an outage for customers. StackStorm can monitor this system, understand the error, and then follow a specific set of rules to troubleshoot it. In many cases, it can solve the issue on its own. But if it can’t, it can send a report to an engineer with data from multiple systems to help identify the issue - giving them a headstart on fixing it. A customer sends an email to support for help on an issue. StackStorm can listen for emails, and it can then create a ticket in a task management system as well as notify interested parties via chat. Why not just write remediation scripts? You could just write your own custom scripts, but StackStorm simplifies auto-remediation by building in everything you need. It’s easier to create complex workflows within the UI and service functionality is compartmentalized within packs. Maintaining and updating complex flows across multiple systems with large teams is a breeze. We can help you build a custom UI on top of StackStorm that meets the needs and demands of your organization. Can we help you with StackStorm?